Mark Molesky, author of “This Gulf of Fire,” on the three-act disaster that destroyed Lisbon in 1755. 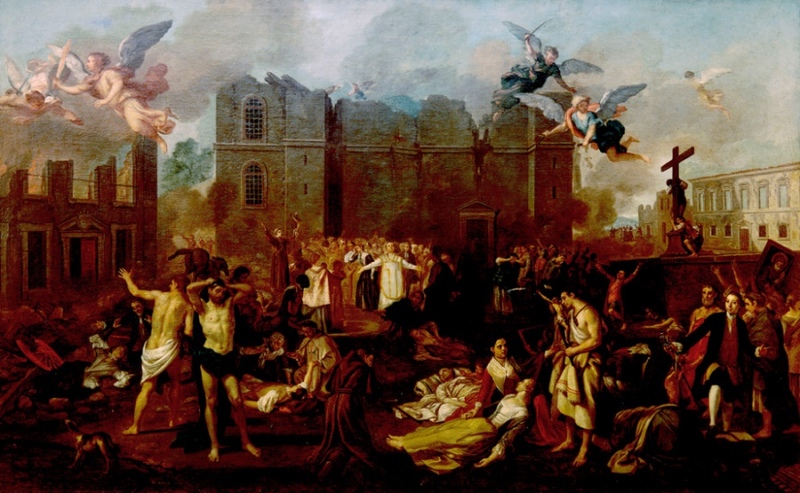 Allegory of the 1755 Earthquake, oil painting by João Glama Strobërle. Public domain. When dawn broke in Lisbon, Portugal, on Saturday November 1, 1755, inhabitants and visitors alike were poised to celebrate one of the country’s most important national holidays, All Saints’ Day, with exceptionally beautiful weather. Hours later citizens found themselves wondering whether the world was coming to an end, victims of an unusually powerful mega-thrust earthquake that would have measured somewhere between 8.5 and 9.1 on the moment magnitude scale—a quake which was followed in short order by a tsunami (or three), as well as hellacious fires that burned for more than a week. Despite the fact that the Great Lisbon Earthquake and Fire was one of the most consequential natural disasters of modern times, it has been largely forgotten by history. 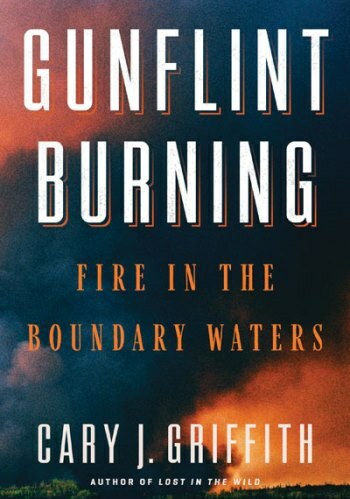 But the book “This Gulf of Fire: The Destruction of Lisbon or Apocalypse in the Age of Science and Reason” (Knopf), by historian Mark Molesky, is bringing newfound attention to the cataclysmic event, which ushered in the decline of Portugal as a great European power. Utilizing his knowledge of Portuguese and German, Molesky consulted an impressive array of sources (including handwritten letters that local priests penned shortly after the earthquake), enabling him to not only chronicle the widespread destruction, but to introduce the reader to the most notable characters of the day, thereby humanizing a disaster that impacted the country—and the world—in surprising ways. In the following Failure Interview, Molesky recounts what happened on that fateful Feast Day, discusses the international relief effort, and addresses popular beliefs about what caused the earthquake. Can you give readers an overview of the Great Lisbon Earthquake? What happened? At about 9:30 a.m. Portugal time on November 1, 1755, the seabed several hundred miles off the Portuguese-Spanish coast exploded upwards. It was one of the largest earthquakes in human history and the largest earthquake that has affected Europe in the past ten-thousand years. 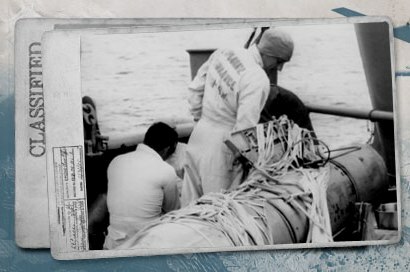 We think it was the equivalent of about 475 megatons of TNT or 32,000 Hiroshima bombs. It was about a thousand times more powerful than the 2010 earthquake that destroyed Port-au-Prince in Haiti, and 250 times larger than the San Francisco Earthquake of 1906. The three tremors destroyed—or nearly destroyed—much of the city, which had a population of about 200,000, though thousands more had come into the city because of the Feast Day. And the earthquake didn’t just affect Lisbon; it also caused enormous damage on the northwestern coast of Africa and Morocco. Then, because [the hypocenter] was out in the Atlantic Ocean, the large displacement of energy and water led to a tsunami—a very rare event in the Atlantic. There were actually three waves that smashed into Lisbon, the Portuguese-Spanish coast, and the Moroccan coast. The tsunami also crossed the Atlantic and hit Newfoundland, as well as the leeward islands of the Caribbean and northeastern Brazil, killing a handful of people there. But the tragedy wasn’t over. Because it was All Saints’ Day the churches in Lisbon were filled with [lit] candles. Homes were also lit up, and when buildings collapsed fires started—hundreds of them throughout the city. By late afternoon they had coalesced into what I believe was a firestorm. A firestorm is not just a big fire. It’s a fire that is so hot that it reaches a temperature where it actually creates its own wind system and pulls oxygen from the areas around it and sustains it. This firestorm swept across the city for over a week, destroying areas that had not been destroyed by the earthquake and killing thousands more people. As compared to other major cities in Europe, what kind of city was Lisbon before the disaster? Today, Lisbon rarely hits the front pages. But in 1755 it was one of the wealthiest cities in the world. Fifty years before, Portugal had found gold in Brazil, its New World colony. A couple decades later, in the 1720s, Portugal found gems, diamonds, and emeralds in the same central highland region [of Brazil]. All of this wealth cascaded into Lisbon, which was already a fairly wealthy city. It was the most important New World port in Europe and one of the largest cities in terms of population. Its destruction in 1755 was an enormous shock to Europe and the world, because it was the center of trade for the Atlantic Ocean and also carried on trade with Asia. I should add that the king and queen of Portugal—because of all the gold and diamonds—were considered the richest royal family in Europe. How did Lisbon fare afterwards considering the population loss and loss of capital and the overall trauma? About 40,000 people died in total—with many dying of their wounds or disease or exposure in the weeks and months afterwards—and as you can imagine this was an enormous shock to the economy. Many of the great buildings of Lisbon were destroyed, and many of the largest and most important churches and palaces and homes of the great merchant barons were suddenly gone. Although Lisbon did eventually rebuild, it took many, many decades. One of the other things that happened was the rise of a de facto dictator, a man named [Marquês de] Pombal, who had been a secretary of state. The king [Dom José] was so rattled by the earthquake that he essentially allowed Pombal to run the country for several decades [until the king’s death in 1777]. Pombal imposed all kinds of economic strictures and raised taxes and put duties on imports. The data is imperfect, but my sense is that this began Portugal’s slow decline throughout the latter part of the eighteenth century and into the nineteenth century. It took several decades to play out but it was the beginning of the end for Portugal’s prominence in Europe economically. Did people understand the cause of the earthquake and why it happened? There were all kinds of theories about what had caused the earthquake and competition throughout Europe to find the cause. Some of the theories were brilliant, but they were all wrong. Many of [the theories] followed Aristotle’s beliefs on science. Aristotle believed that earthquakes were caused by winds moving through underground caverns, and the leading theories focused on underground explosions or expanding vapors that shook the earth. Others believed that God had caused the earthquake—that God was sending a message to the Portuguese. And many in the religious areas across Europe believed that this was an opportunity for them to hit back at the scientists and Enlightenment thinkers who had attacked religion. They were saying, essentially, “Aha, you don’t know what caused this earthquake. But we do! If you read the Bible, it’s [clear that] God that causes earthquakes and God is sending a message to us.” It was an opportunity to attack the smugness of scientists across Europe. But it was also an attack on Enlightenment thinkers who believed that God created the universe and then stepped back from His creation. These preachers—both Catholic and Protestant—were saying: This proves that God is not a watchmaker; He’s involved—as we have always been saying—in the general movements of the heavenly spheres and involved in our lives directly. Did the average person feel they were victims of God’s wrath? Absolutely. Portugal was Catholic, and very devoutly so. And because the earthquake occurred on one of the major holidays on the Catholic calendar, and because it came at the end of the 9 o’clock mass, an enormous number of people were killed in the churches when the ceilings collapsed on top of the worshippers. Of course the disaster had all the elements you see in [the Book of] Revelation—the fires, the earth shaking, and the seas boiling and rising up. 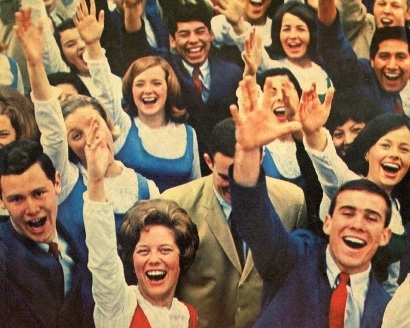 For that reason, priests were mobbed by survivors in the minutes, hours, and days afterwards. People were grabbing the hem of their cloaks and asking them to absolve them of their sins. People thought it was Judgment Day and that the world was coming to an end. In the book you reference Allegory of the 1755 Earthquake, by João Glama Strobërle [pictured above]. Do you have any thoughts about that painting? It’s a very large oil painting that has as its essential focus the destruction of the Church of Santa Catarina, which sits on a hill in Lisbon. It encapsulates how a believer would have viewed the earthquake in the hours after the first tremor hit. The church is cracked, the ceiling has fallen in, and there is dust and smoke all around. There are people in the plaza in front of the church flocking around religious figures. There is one man hugging a large cross; there is a man finding a woman who has been half-buried in the rubble. There are people walking around half-naked, which was something that shocked a lot of people. Another thing that was shocking is that many of the monks and nuns who lived in Lisbon were cloistered, so they spent their entire lives behind walls. When the convents and monasteries were destroyed the formerly cloistered were walking around in the streets where they shouldn’t have been. This scandalized the inhabitants of Lisbon to such an extent that one of the first orders that Pombal gave was to find domicile for the poor people who had given a vow to leave the world and spend all their time indoors. What kind of relief effort was undertaken? One of the reasons Pombal became a dictator in the days and weeks after the earthquake is that he showed the king what an extraordinary civil servant he was. There is a darker side to his legacy but in the hours and days after the earthquake he was one of the few ministers who ran to the king’s side and started sending out orders. Pombal managed to feed the people, clothe them, and get as much medical attention to them as possible. But the thing I focus on in the book is the international relief effort—what I call the first international relief effort in history. Several nations, on their own, came to the decision that they should send aid to the Portuguese. The British, in fact, sent more than 15 ships filled with food and clothing and other supplies to help rebuild the city. This was right at the beginning of what would become known as the Seven Years War—what we in America call the French and Indian War. The British had several reasons why they sent this aid. It was to help their ally and feed those who didn’t have food, but there were also a large percentage of British merchants in Lisbon and they wanted to make sure these merchants were secure. They also wanted to make sure that the Portuguese ports would be open to them during the war against France. So there were political and diplomatic and military considerations as well. Meanwhile, the Free and Hanseatic City of Hamburg in Germany sent four ships filled with food and building supplies. It was not only to help the king of Portugal and his people but to make sure the cushy deals the Hamburg merchants had with the Portuguese vis-à-vis trade would continue into the future. The French offered aid but the Portuguese turned it down because they were close allies with the British and didn’t want to get the British upset. The Spanish sent aid but some of the money had to be put in a bank because there was a sensitive situation there politically, as the Spanish had been enemies not too long before. In “This Gulf of Fire” there is a photo of the ruins of the Carmelite Church. Can you still see the effects of the disaster in Lisbon today? Yes, in a few places. People from Lisbon still think of it as “the earthquake city.” It was [more than] two hundred and fifty years ago but it still haunts their history. The Carmelite Church was one of the churches where the ceiling collapsed and dozens if not hundreds of people died. It was never rebuilt and eventually it became a kind of monument to the disaster. If you go to Lisbon and want to see a building that was destroyed and left as a ruin that’s the place to go. It’s now an archeological museum. Why isn’t the Lisbon earthquake better remembered? It’s not very well known. It’s true. Other than the Portuguese and those who study eighteenth century Iberian history, very few educated people have even heard of it. There are a number of reasons. The first is that it occurred in a country that we don’t talk about very much. Portugal has declined as a power and we don’t study it and focus on it like we do Germany, France, or England. Number two is that it happened right at the beginning of the Seven Years War. I went through all the newspaper accounts in the 13 British colonies and looked at newspapers all the way to Russia and charted how the earthquake was written about by journalists. In the first few weeks and months there were numbers of stories and Europeans were fascinated. But by the spring and into the summer of 1756 the reporting starts to fall off and Europeans become obsessed with the war. So the Seven Years War coming right after the quake pushes it off the front pages. The Lisbon Earthquake is mentioned in Voltaire’s masterpiece “Candide” and I argue that it probably wouldn’t have been written but for the effect it had on Voltaire. But there aren’t any famous works of literature that are read by people today that focus on the earthquake. No one used it as a subject for a famous poem or novel. There are a few novels but they are obscure. Even today the location of the quake’s hypocenter is being debated, correct? Yes, there is no consensus on which fault line—and there are many in the area—the earthquake emanated from. It may be a fault line that no one has found yet. It’s more than just of academic importance. If an earthquake this large happens tomorrow and leads to a tsunami it could be devastating. The people along the coast of Portugal and Spain and Morocco would have only a few minutes to leave the beaches. So it’s something that scientists really want to figure out. 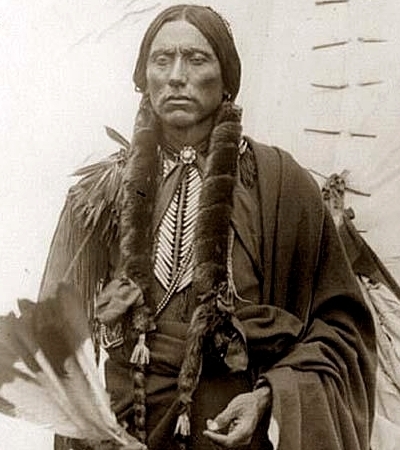 Quanah Parker and the Comanches—The rise and fall of the most violent and powerful Indian tribe in American history.